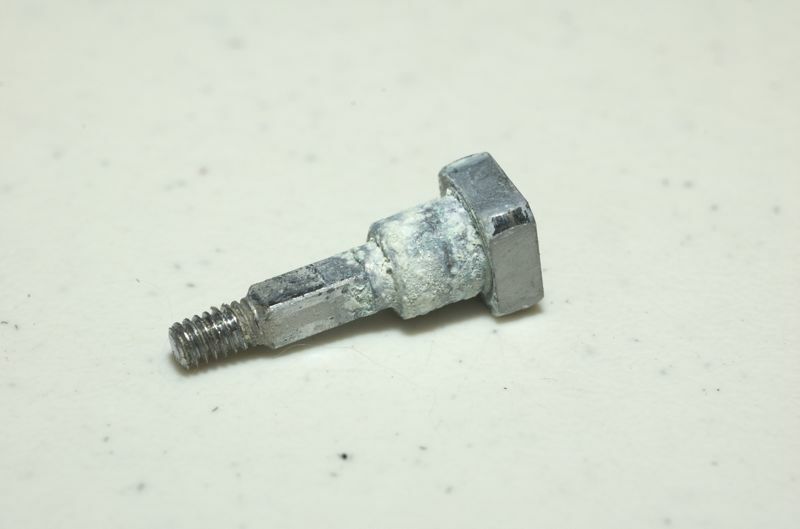 The Yoke Retainer, Yoke Screw, Hose adapter and Turrent are made of Titanium. A special coating in purple color gives the Aluminum body it’s unique appearance. This entry was posted in Uncategorized on September 23, 2010 by pacificadive. 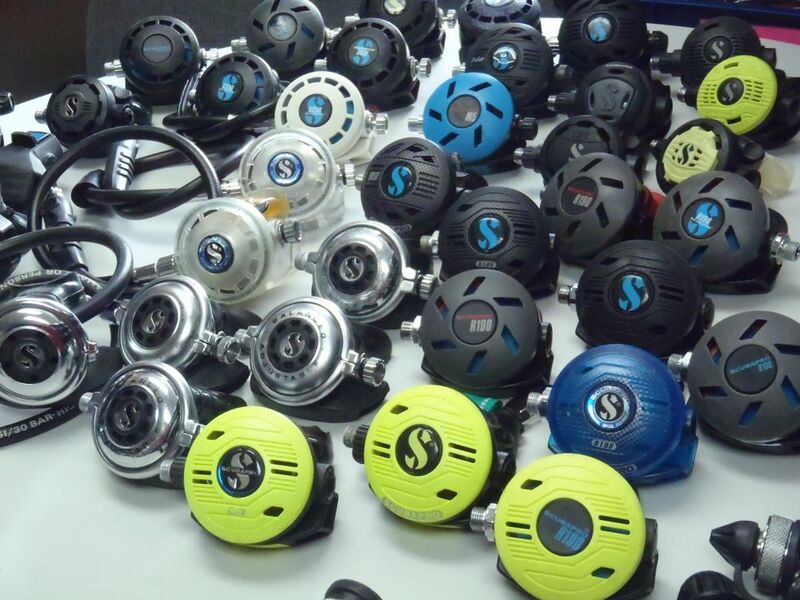 Just a part of our Scubapro collection. This entry was posted in Uncategorized on September 16, 2010 by pacificadive. What we take for granted today, was 25 years ago a novelty. 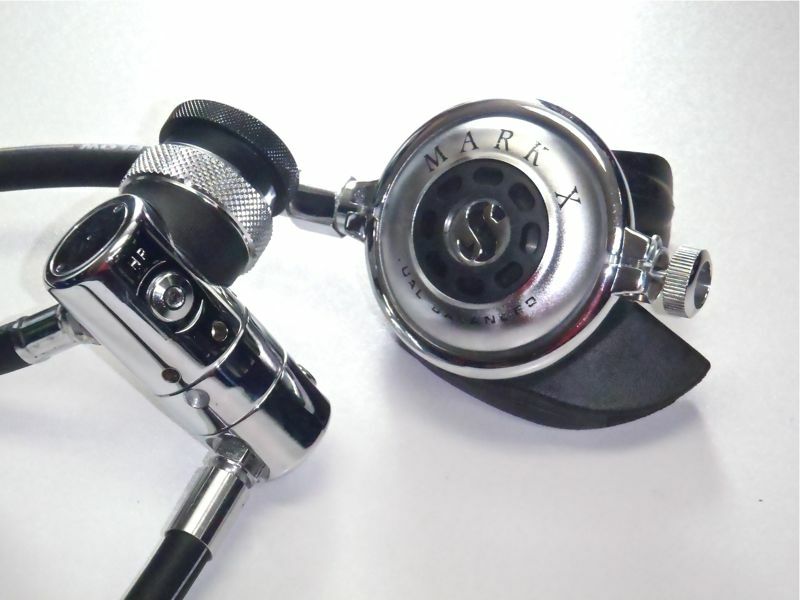 The technology to combine a balanced first and second stage was marked in 1985 by Scubapro Europe with the release of the Mark X DUAL BALANCED. This version was only sold in the european market and only if purchased in this combination, the Mark X would be marked as DUAL BALANCED to signify that both stages are balanced. The First Stage, a balanced Mark 10 would become one of the most produced and most copied designs in the market. The balanced MK X Second Stage laid the foundation for all Scubapro Balanced Second Stages today. It was followed by the BA – Balance Adjustable, the G250, the S-Series and the new A Series. We just received one of these sets in excellent conditions and it will be displayed in our retail store soon. This entry was posted in Uncategorized on September 11, 2010 by pacificadive. My regulator just turned 19. 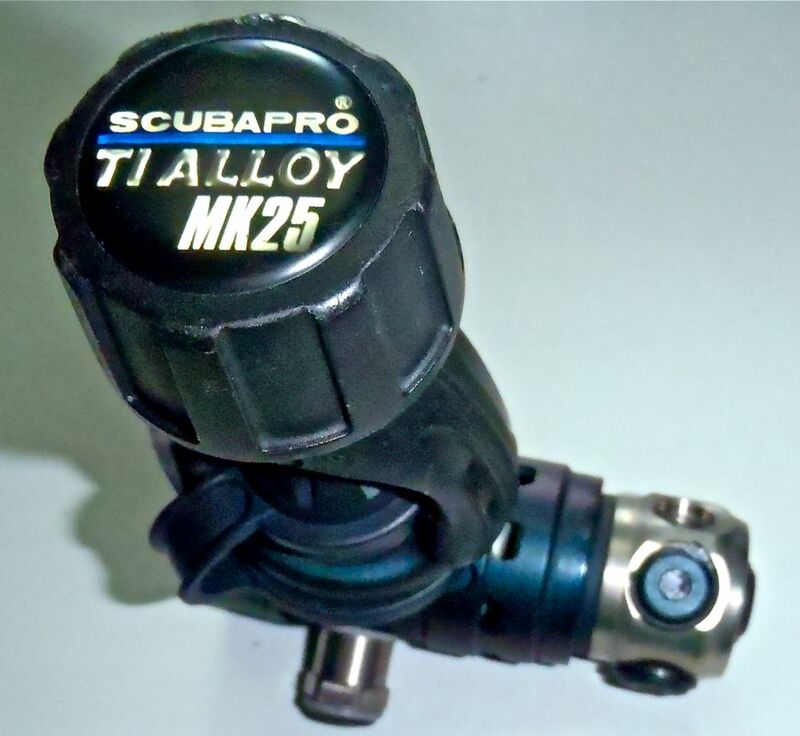 Yes, 19 years ago I went into the local SCUBAPRO dealership in Germany and bought my first set of MK10 / G250. After the first year the local technician showed me what my thorough care & rinsing had resulted into. The filter was green of corrosion and there was corrosion inside the gauge as well. I had drowned my regulator. The technician had to teach me the right way to take care of the set. Since then, the regulator has worked flawlessly and never left me without breath. 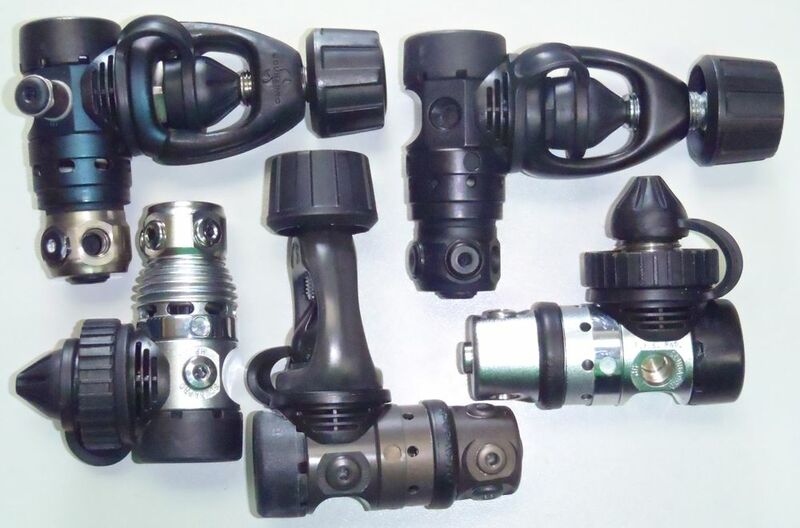 The need to rinse our dive equipment is apparent, especially when used in seawater. 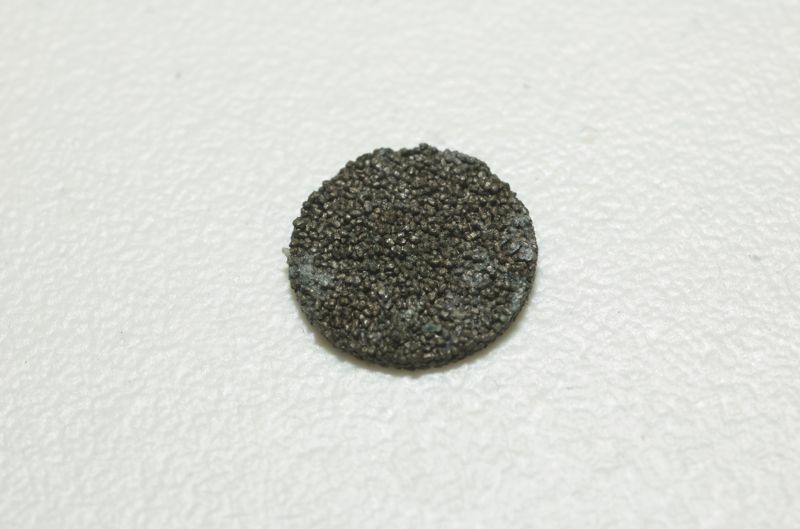 If left un-rinsed, the drying saltwater becomes more and more concentrated and therefore even more aggressive. Metal parts will corrode and the drying salt leaves sharp crystals. Between moving parts these dried salt crystals grind down O-Rings and mix with lubricants. Even hoses and other rubber parts are never spared. But “rinsing” our equipment is not as straight forward as dumping the gear into a fresh-water bin and hoping this will do. Actually this practice is one of the most common and at the same time potentially most harmful for the gear. When rinsing the regulator after a day of diving the aim is to clean the regulator of salt and dirt. We intend to do good and not harm to the equipment. What we want to avoid at any cost is water entering into the high pressure and intermediate pressure part of the regulator. The installed “dust caps” – as the name suggests are often not waterproof and therefore are insufficient to fulfill this goal. – Do not shake the 2nd stages in the rinse-tank as this will push the purge and open the valve mechanism, allowing water to enter the hoses. – Do not dump or dunk the 1st stages into the rinse bins, especially if the air inlet is not 100% sealed. 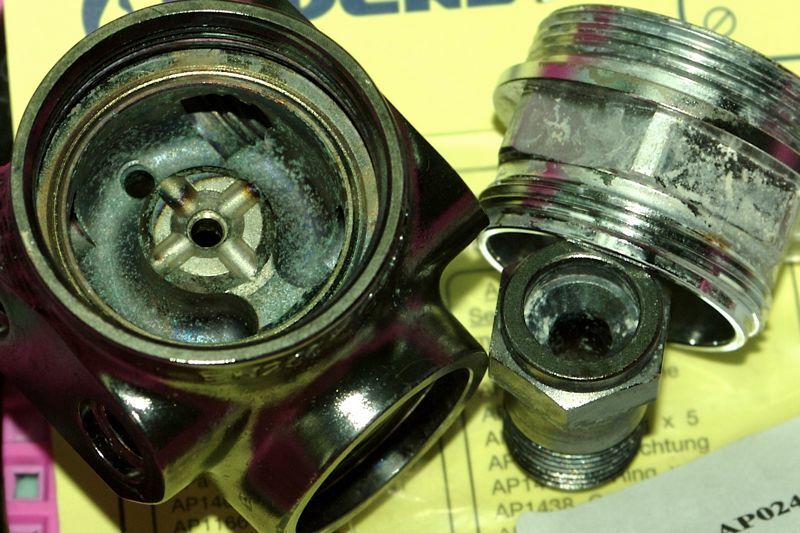 So how do you rinse your regulator properly? How do you do it right? The best way is to rinse the regulator under flowing water or to keep it pressurized when submerged (i.e. still attached to a scuba tank with the tank valve open). When using flowing water, rinse around the first stage tank connectors, plastic covers, swivels and water / spring chambers. Rinse thoroughly under hose protectors, gauge covers / consoles, inflator hose mechanism. Let water flow into the mouth-piece without pushing the purge button. Rinse the hose swivel connectors, and any opening on the 2nd stage. What if water has accidentally entered the set? Remove the High-pressure hose from the first stage to prevent the water from advancing into the gauge under pressure. Attach the set to a scuba tank. Purge the 2nd stage and Octopus while slowly opening the tank. Repeat as necessary. You will see the water mist spraying out. Repeat in small bursts for a while. Do not purge for prolonged period of time as the water will just freeze and not get out of the system. After the rinsing procedure dry the regulator open, best in an AC room. Remove the 1st stage yoke or din cover . This will remove any left over drops and trapped water under covers, preventing corrosion. After leaving it out for a day or so, pack it in an insect-proof bag, best a padded regulator bag which offers additional protection until the next use. We have plucked multiple species of insects from regulators. We have replaced mouthpieces which were eaten by rodents and scraped slimy mucus from regulator sets which did not dry properly. All these are very dangerous conditions, either because of the risk of transmitting diseases or triggering malfunctions of the gear because of blockage. Let this not happen to you, rinse properly and dive safe. If you follow these instructions thoroughly you should be able to extend the life of your gear too. This entry was posted in Uncategorized on September 8, 2010 by pacificadive.